Sometimes all you need is a hug one hundred million dollars. That’s the premise behind 100&Change, the MacArthur Foundation’s $100 million grant competition to fund a single proposal designed to make measurable progress toward addressing a critical need anywhere in the world. 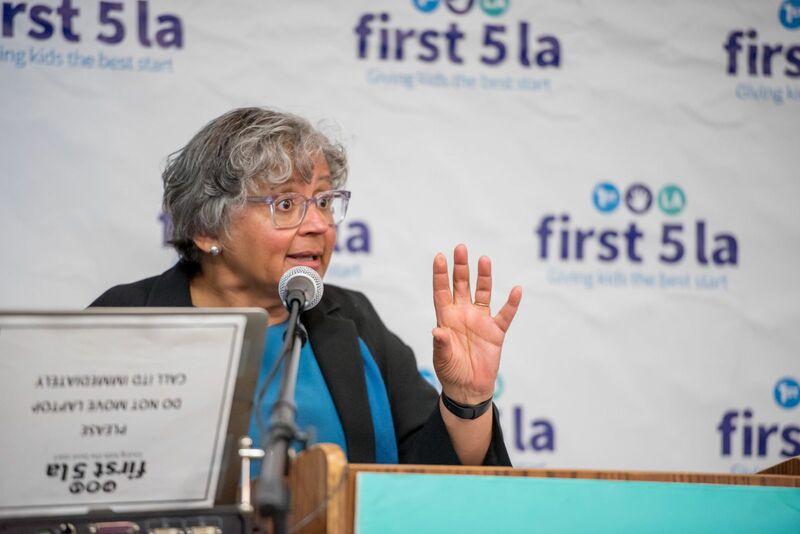 At a presentation here at First 5 LA, Dr. Cecilia Conrad opened a new and thought-provoking doorway to change for the children of L.A. County. During her talk, Dr. Conrad inspired many of the 60 guests in attendance, putting major concerns squarely on the table about the challenges faced by both grant seekers and grant makers. Posing questions like how to approach the expanding issue of increasingly scarce resources among competing funding alternatives. She asked how one resolves the pros and cons of perpetuity? Is it best to spend down your resources, or whether philanthropic dollars should be held in endowments if indeed they could be spent to solve a problem and potentially generate perpetual benefits? As Dr. Conrad spoke in detail, it became clear that 100&Change is a watershed moment in grant funding. By issuing a wide-open call that did not define or constrain the problem or the nature of the solution, it allowed respondents to tell MacArthur what problem they would address with $100 million and how each would be resolved. And then they shared this knowledge. The 100&Change challenging application process itself also has inspired the development of the 100&Change Solutions Bank. Considered rare in the field of philanthropy, the Solutions Bank is a website that features grant application submissions that did not win, but still offers valuable solutions to world problems. From the Solutions Bank, organizations might find sources for collaboration, or philanthropists might search and select initiatives that match their funding priorities. The richness of the resource brings greater visibility to breakthrough ideas and embraces three specific goals: to drive investment in proposals that merit it; to facilitate collaboration and learning between organizations working on similar problems; and to inspire funders and organizations working for change to do things differently. Thinking big, thinking differently, throwing knowledge at problems, this is why I consider Dr. Conrad a career mentor, playing a significant role in my outlook on the potential we bring to the world. The inaugural grant recipients, Sesame Workshop and International Rescue Committee, will use their $100 million grant to implement an evidence-based, early childhood development intervention designed to address the toxic stress experienced by children in the Syrian response region—Jordan, Lebanon, Iraq, and Syria. The project will improve children's learning outcomes today and their intellectual and emotional development over the long term. The caliber of the applications, however, was such that the MacArthur Foundation earmarked a “nest egg” grant of $15 million for each of the other three finalists. It resonated with my First 5 LA colleagues. 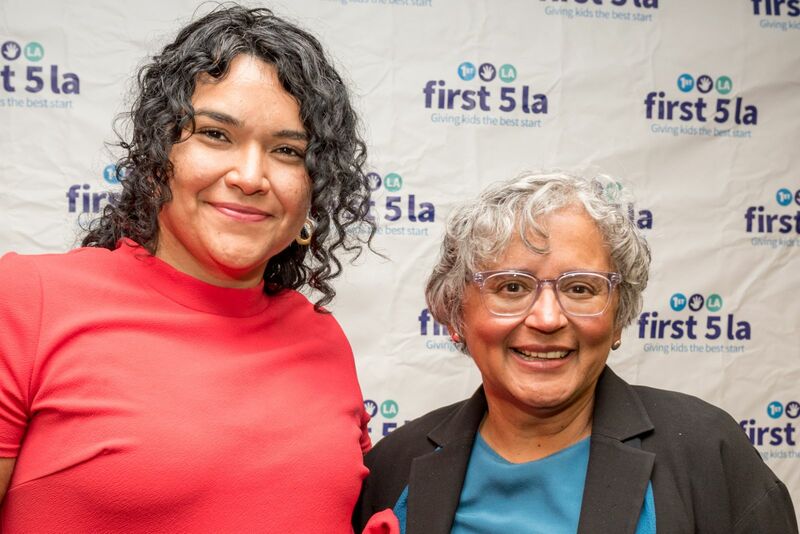 The four recipients’ solutions-based applications focused on children’s need issues that are important to First 5 LA – customized program-specific curriculums, home visitation, and service delivery through neighborhood and community centers. Dr. Conrad shared other funders are already coming to the table to support efforts exposed through the applications. The new thinking that filled the room today clearly spoke to the value of Dr. Conrad’s visit. Those in attendance were contemplating new ideas and ways to expand approaches to funding, research and solutions. That’s the true goal of the 100&Change grant, to throw knowledge at the problems we face, before we consider funding, so we can create lasting, impactful solutions.